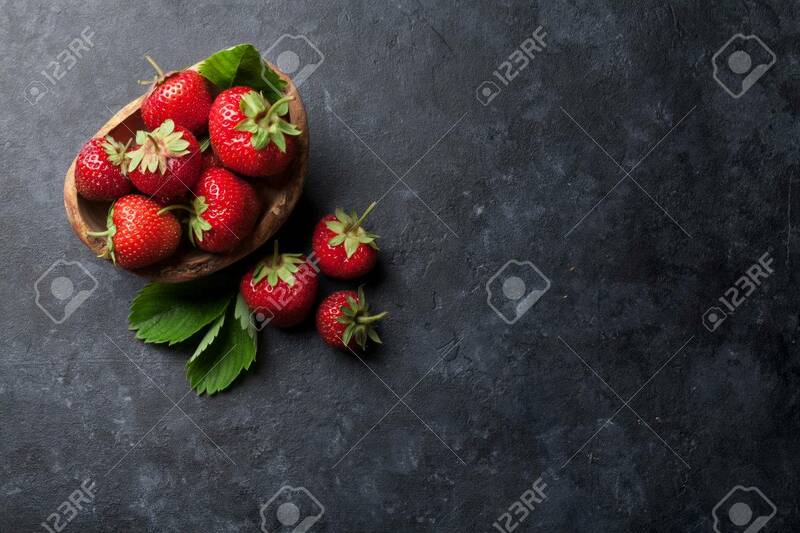 Fresh Garden Strawberry In Bowl On Stone Table. Top View With.. Stock Photo, Picture And Royalty Free Image. Image 65569637.